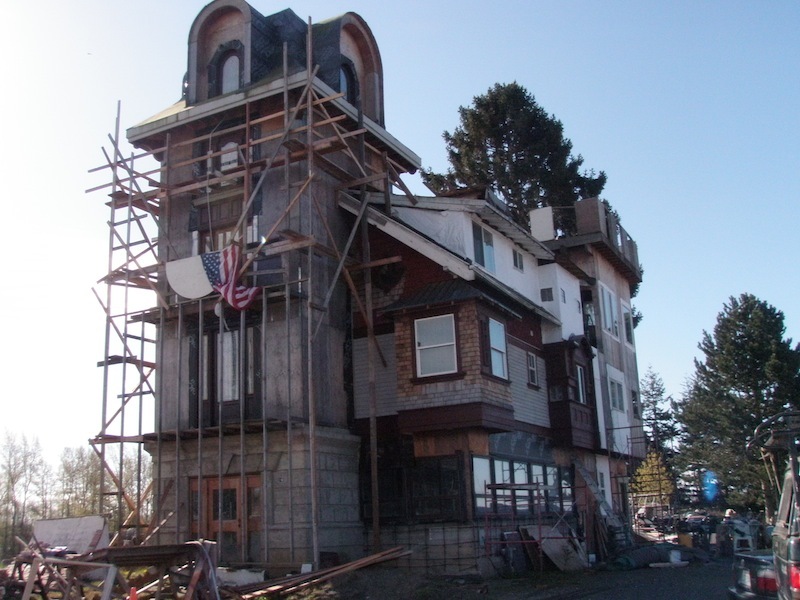 The Clock Tower House on Main Street in Ferndale, WA has become an iconic structure for the city. Owners, Art and Margaret Rojsza transformed it from a typical two story home into it’s current fascinating incarnation. The original structure is still intact and is incorporated into the new building. This creative couple uses a variety a materials from many places including the Bellingham RE Store. In the linked youtube video, Art and Margaret take viewers on a tour of their project and show off some of the RE Store items (wooden panels, lighting, etc.) they’ve used to create their eclectic home. In the Bellingham Herald in 2011, Mr. Rojsza said of the house, “The project is both a reminder of home (Poland, originally) and symbol of American possibility.” The RE Store is glad to help supply the Rojszas’ possibility so that they can turn it into a reality.